Practical implementation of the Indo-Pacific strategy calls for both the strengthening of US bilateral relations with countries in the region and the fostering of multilateral cooperation. The most important aspect of the latter is the so-called Quad, designed to unite the four “democracies” of the Indo-Pacific region – the USA, Japan, Australia, and India. Attempts to create a Quad have been ongoing for many years now, though the administration of Donald Trump has created additional momentum, already achieving a moderate amount of success. And all of this in spite of the generally disdainful attitude of the current American leadership towards international institutions and multilateral cooperation! The approach further developed to define the objectives of Beijing’s policy towards neighbouring countries (the Peripheral Diplomacy of China). The approach can also be seen in the advancement of various multilateral continental initiatives, in particular, the One Belt, One Road Initiative and the Regional Comprehensive Economic Partnership Project. It is indicative that in addition to ASEAN countries, the participants of this last project included South Korea, Australia, and New Zealand, the traditional maritime allies of the United States in the Asia-Pacific Region. At the present time only the first moves have been made in the big game for the future of Eurasia, the game is still in its opening stage. And the goal of the opening, as we know from chess, is to mobilize resources, take move pieces to the most advantageous positions, and to hinder the opponent’s development. And how about the geopolitical chessboard: what can we say about the players’ positions present? The main weakness of the American vision is, in our opinion, its precarious economic foundation. The US refusal to participate in the Trans-Pacific Partnership (TPP) seriously restricts America’s ability to comprehensively implement its Indo-Pacific vision and to see to China’s economic containment. Considering that the number one priority for most countries of Eurasia is social and economic development, it can be concluded that without an economic dimension, the vision will be limited in its effectiveness. When the United States set itself the goal of containing the USSR in Europe seventy years ago, the Truman Doctrine was joined by the Marshall Plan, which many historians still consider to be the most successful program of economic assistance in the history of mankind. Nowadays, when the question of containing China in Asia is of such importance, the United States is not only unwilling to implement another Marshall Plan for the Indo-Pacific, but has already begun to toughen its stance on the economic aspects of relations with its closest Asian allies and partners. China’s main weakness lies in the fears of neighbouring states regarding Chinese economic, political, and military hegemony in Eurasia. The current American hegemony along the periphery of the Eurasian continent strikes many as less burdensome and more bearable than the potential dominance of Beijing. At the same time, we must admit that over the past one and a half to two years, Chinese diplomacy has made tangible progress in its interaction with its neighbours in both the northeast (North and South Korea) and in the southeast (Vietnam and ASEAN as a whole). There is an American electoral concept known as the swing state, which refers to a state where neither party has a clear advantage, and the outcome of the vote is unclear. There are few such states in each electoral cycle, but they determine who will ultimately move into the White House. In the case of Eurasia, the role of swing state falls to India. India, meanwhile, is trying to hang on to as much room as possible to manoeuvre and is in no hurry to make their choice. On the one hand, India has accumulated their share of historical disputes and a tradition of open or hidden competition with China in Southeast Asia. The question remains one of wounded national pride with the memory of India’s unsuccessful 1962 border war with China. There also remains the issue of a global status that has been infringed upon: India, unlike China, is not a permanent member of the UN Security Council, and Beijing, as far as can be judged, is not inclined to help Delhi receive membership. Finally, there remain suspicions about Beijing’s possibly supporting Indian separatists. Even more realistic and not entirely groundless are concerns over the economic, political, and military expansion of China into the Indian Ocean. There is a popular theory in India known as the String of Pearls, which describes the Chinese strategy in the Indian Ocean basin as one intended to surround India by creating a chain of bases and other Chinese military sites through Hong Kong – Hainan – Paracel Islands – Spratly Islands – Kampong Som (Cambodia) – the Kra Canal (Thailand) – Sittwe and the Coco Islands (Myanmar) – Hambantota (Sri Lanka) – Marao (Maldives) – Gwadar (Pakistan) – Al Ahdab (Iraq) – Lamu (Kenya) – Port Sudan. There are concerns about potential problems for India in accessing the Pacific Ocean, which remains one of Delhi’s most important transportation corridors. Delhi also faces difficult economic problems: India’s overall trade deficit with China exceeded $50 billion annually. In addition, Beijing extensively employs the practice of imposing non-tariff restrictions on Indian pharmaceuticals, food, and IT products. Nevertheless, tactical advantages are clearly not enough to seriously increase the Common Destiny’s attractiveness to India. China will have to make significant concessions on issues of importance to India, such as the problem of international terrorism in Eurasia, India’s permanent membership in the UN Security Council, and bilateral trade issues among others. It would appear that in one way or another, Beijing will have to recognize the special role of Delhi in South Asia, just as it recognizes Russia’s special role in Central Asia. The later Beijing takes serious steps towards Delhi, the more difficult it will be to involve India in the Community of Common Destiny. Moscow’s only potential benefit from implementing the Indo-Pacific vision is that, if the project is successful for Beijing, the value of partnership with Moscow objectively increases. 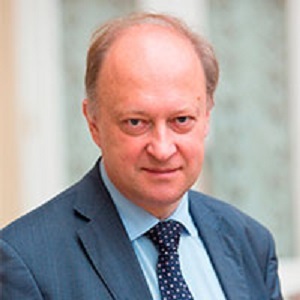 In this sense, a standoff between the maritime and continental parts of Eurasia would clearly be preferable to Russia than the hypothetical version of close American-Chinese cooperation as the G2, which would certainly reduce the value of Moscow as a partner not only in Washington’s eyes, but in Beijing’s as well. But the costs of a new Eurasian bipolarity for Moscow would in any case outweigh possible benefits: Russian policy in Eurasia would lose its flexibility, and many traditional partnerships, such as with Vietnam and India, would be jeopardized. An overall decline in stability in the Asia-Pacific Region, an inevitable side effect of the Indo-Pacific project, would also create additional problems for Moscow. It should be noted in passing that India will face the same challenge if it should decide in favour of the Community of Common Destiny. It would be logical for Delhi to perform a system-forming function for South Asia, similar to the one that Russia must implement in Central Eurasia. 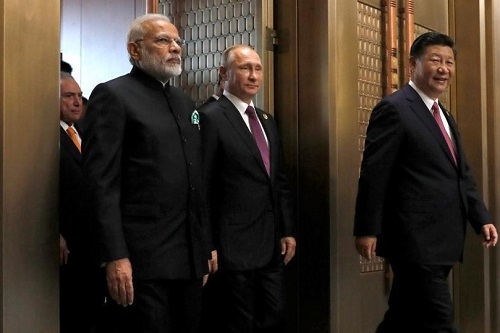 Russia, for its part, is interested in preserving and even strengthening India’s position in South Asia, not for the purpose of containing China, but to create a more stable multi-polar balance of power and interests on the Eurasian continent. At the same time, the Indian leadership must understand that the time of exclusive Spheres of Influence enjoyed by the great powers are a thing of the past, that it is no longer possible to count on the unconditional loyalty of even the closest neighbours and partners, like Sri Lanka, Bangladesh, and Nepal, and that it will be necessary to fight hard for their attention and benevolence. According to one of Henry Kissinger’s main strategic precepts, in any geopolitical triangle, the corner whose relationship with each of the other two angles is better than their relationship with each other is in the most favourable position. In fact, Kissinger’s not-unsuccessful geopolitical strategy for the US–USSR–China triangle of the early 1970s was based on this understanding. In keeping with this classic of geopolitics, Russia should theoretically be interested in maintaining a certain level of tension in Sino-Indian relations in order to occupy the most favourable position in the Russia–China–India triangle. As for the probable consequences of the Common Destiny for the United States itself, it would be appropriate to rephrase Zbigniew Brzezinski’s famous statement about the role of Ukraine in Russian statehood. The successful implementation of the US vision of the Indo-Pacific will guarantee that the US remains the only global empire in the world, at least until the end of the 21st century. The implementation of the Common Destiny would see the United States gradually lose its imperial status and turn into primus inter pares – the most powerful of several great powers paving the way into the 22nd century.